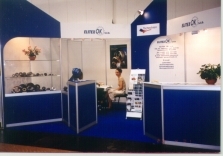 The history of the firm ELITEX OK Ltd.
tradition of almost 40 years. mme are gear-boxes to put on and chain couplers. Click here to get more info. programme we will be glad to be your business partner. We took over the prestigious prize for quality in Paris in 2000 .